How do you handle shift changes? SP-1 supports up to 10 shifts per day per station. This can be handled by having the employee run the 40 Column Shift Close Report or the Balance Till report. The employee then counts the money and then hands it all over or stores it in the lock box or safe. The challenge with this is if you have employee theft issues. Allowing the employee to count their own till and match it against a report can lead to them ‘adjusting’ the cash they have on hand. Another way is to do a ‘blind shift’ close. This can be done by not allowing the employee to run the balance till or 40 column shift close reports. Then, when the employee finish their shift, they print one ticket with a comment on it. The comment will read something like “end of shift”. This receipt goes into the cash bag along with the till count. At the end of the night or shift, the owner or trusted manager runs the shift close report and enters the ticket number off the receipt in the bag. SP-1 will automatically show you just the close out for the tickets during that shift ! While this puts a little more work on the manager or owner, it helps insure that the employees are accountable for their actions. SP-1 also supports multiple cash drawers per station. This is another way to insure that you have accountability when changing shifts as well as making a shift change easier to do. Finally, we support locking lids for your cash drawer as well. SelbySoft has added a new feature for those of you using our Corporate package, Corporate Reporting Only package or our Enterprise software. We now have the ability to automatically include the ticket audit reporting and send it to your corporate computer. While this information has always been available, we wanted to make it easier for owners to receive it when they are offsite. The ticket audit reports are an effective way of staying on top of potential theft issues. Call us for more information on how to add this to your existing Corporate package. 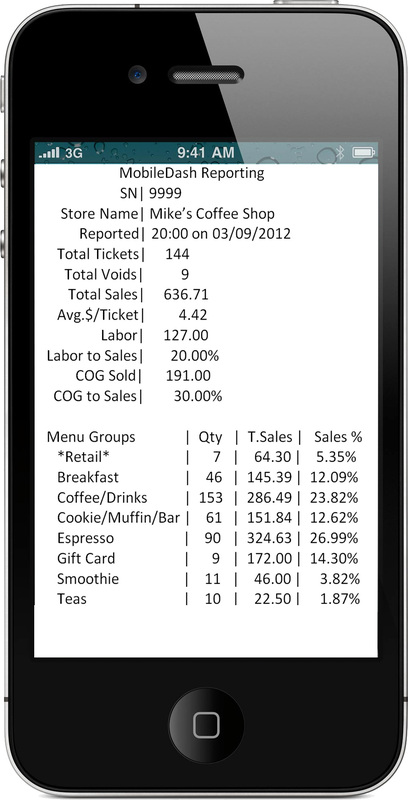 One of the best benefits of a POS system is the reporting. It’s also one of the items that a lot of people ignore! So, let’s challenge ourselves to take a look at one of the reports SP-1 has to offer. We will look at the Specialty Report in the Business Summary. 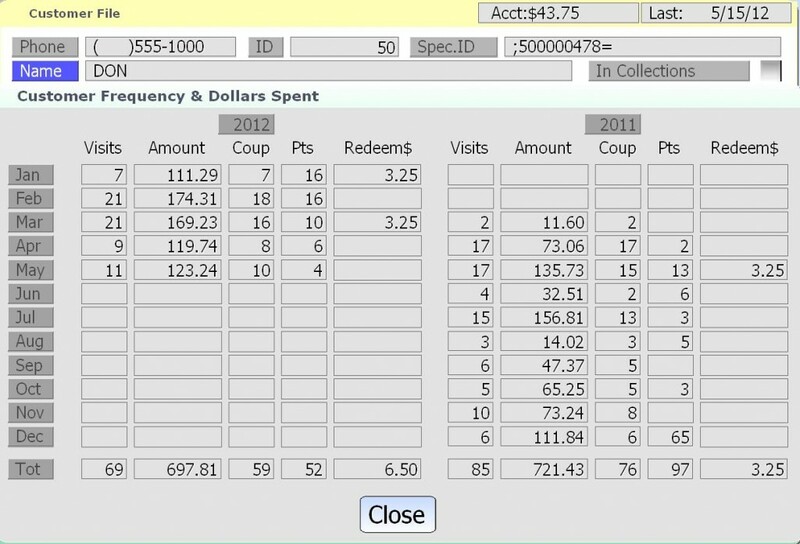 In order to get there, select the Reports menu, Daily Sales Recap and then Business Summary. Run that for a time frame (you can run that for any time you have been open after all). Select Display and make sure the Specialties option is selected. The pictures below show an example of this report. This report first breaks down sales by Menu Group: Coffee, pizza, sandwich, pastries. Then by specialty item: Latte, mocha, meat lovers, club, blueberry muffin. Then by the size: 8, 12, small large. Latte accounts for 29.76% of all coffee sales. Americano only accounts for 1.57% of total coffee sales however. Ham & Honey Mustard account for 30.34% of all our sandwich sales and the Chicken Club is only 1.03% of sandwich sales. Using this data we can decide if we need to refresh our menu, push higher profit items appropriately or simply drop carrying them. 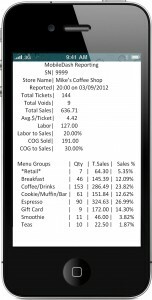 Are you aware of the Dashboard feature in SP-1? This is a great tool to help you quickly see where you are at during the day. There are four components to the dashboard system in SP-1. 1) Dashboard Main Screen: This screen shows you all the quick information about your business. Total sales, voids etc. 2) Daily Detail – This tab shows you menu group sales compared to last week, last month and last year. It’s a great way to see if you are doing better than the past. 3) Graphing. With the hourly detail tab, you can see today vrs last week, last month and last year. This tab also can show you that same information by total tickets! 4) Highlights. If you select an our with your finger or mouse, Sp-1 will compare that hour to the same hour last week, last month and last year! Ever wonder how often certain customers order? What about how much money they spend? If you have SP-1, you have access to as much as the last three years worth of customer purchase history right at your fingertips! Stored in the customer information, is the ability to see this information. Visits: Total number of times the customer visited. Amount: Amount of money they spent that month. Coup: How many times they used a coupon or discount on their transaction in that month. Pts: How many reward (loyalty points) they earned for that month. Redeem$: The value of items received through points redeemed. On the screen this information is only shown for two years due to space considerations. All of this information (and more) can be exported easily to Excel however!